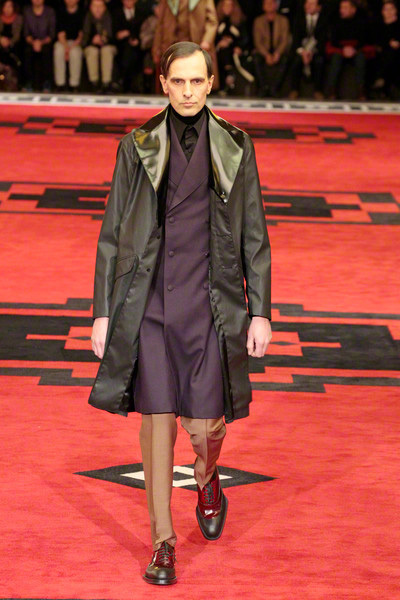 Again, powerdressing was the theme of a collection. 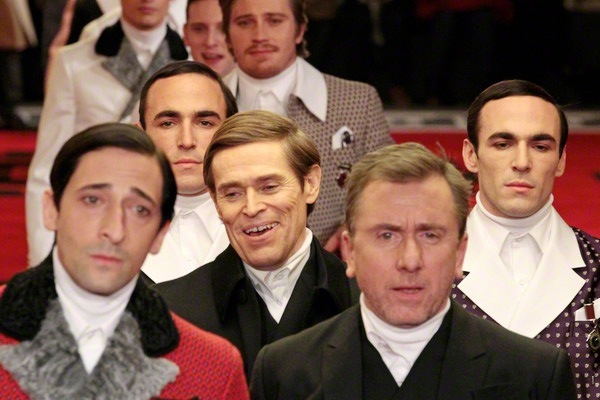 And what a collection. 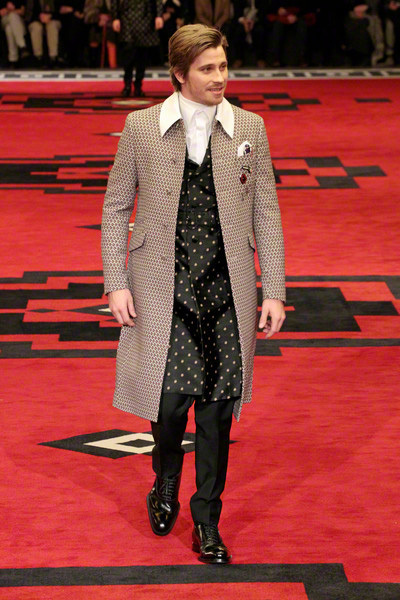 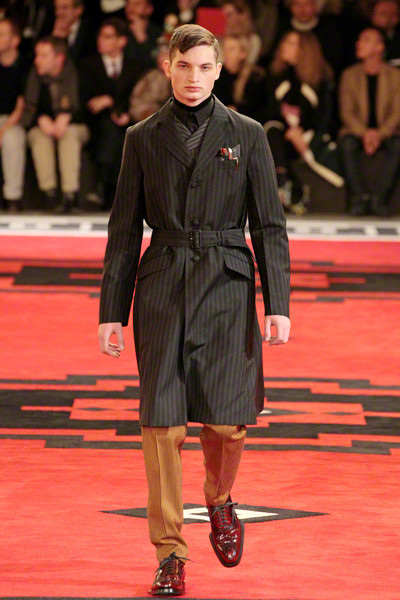 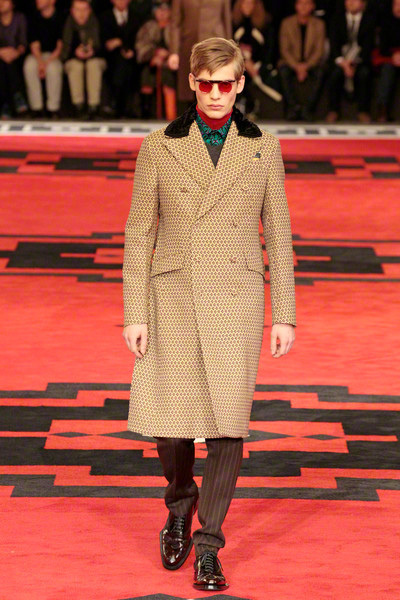 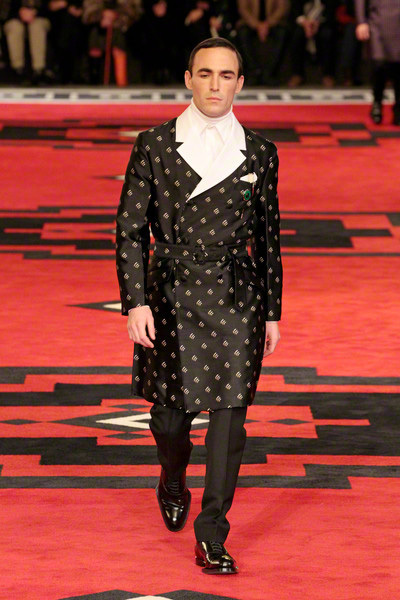 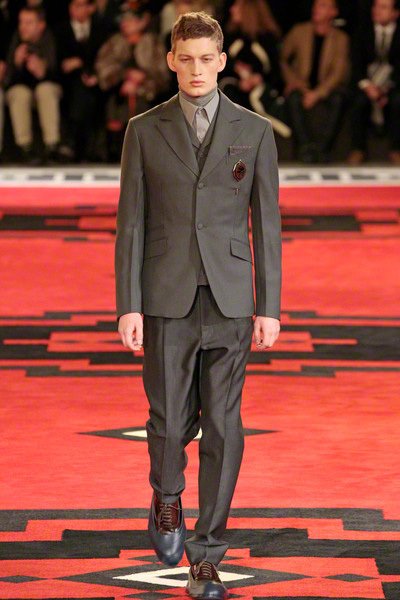 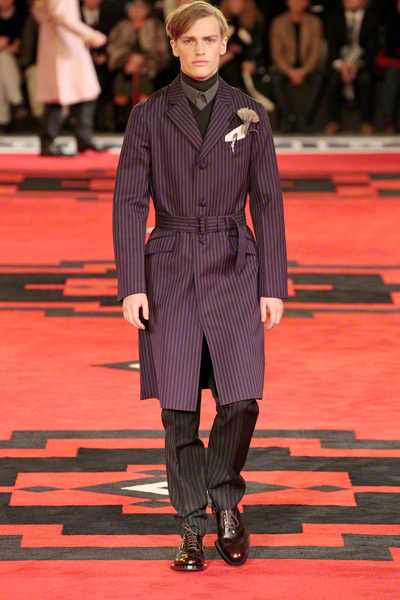 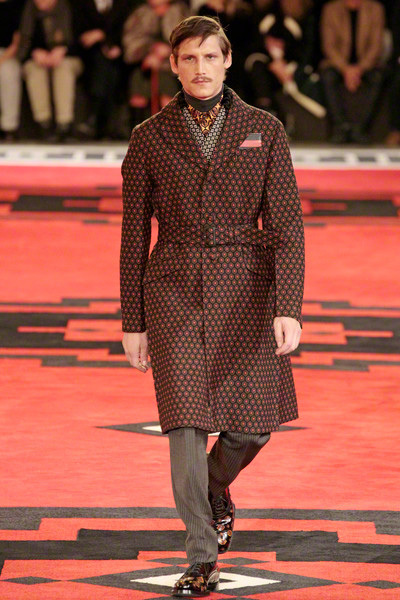 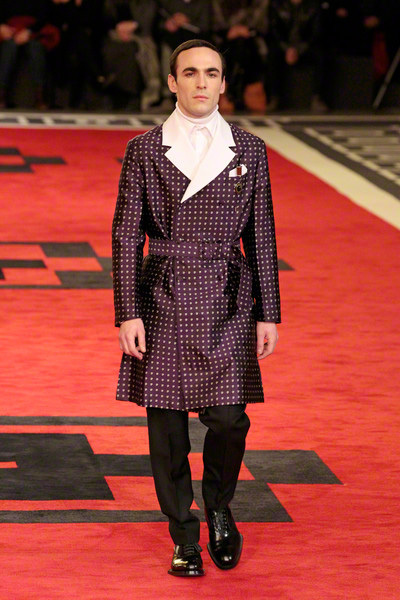 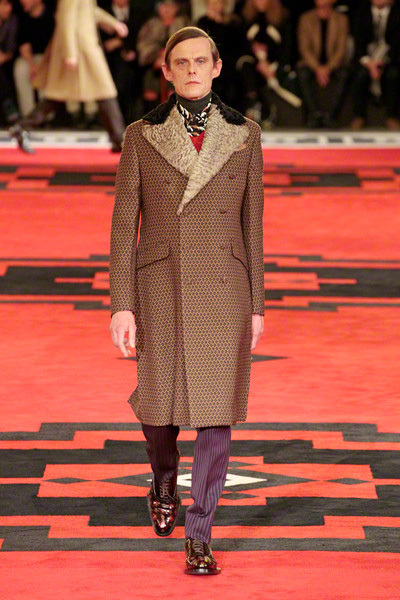 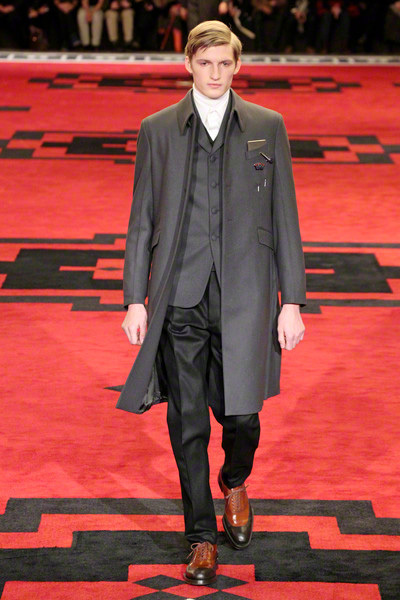 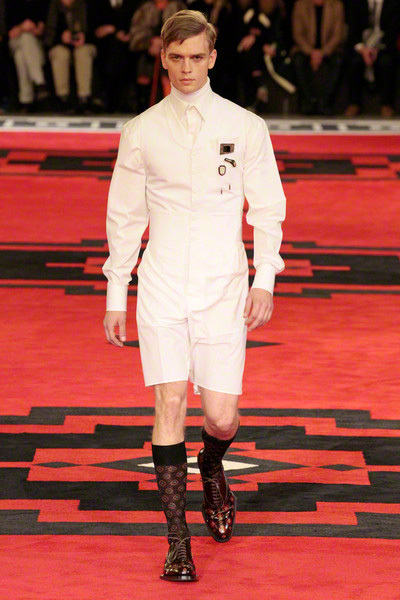 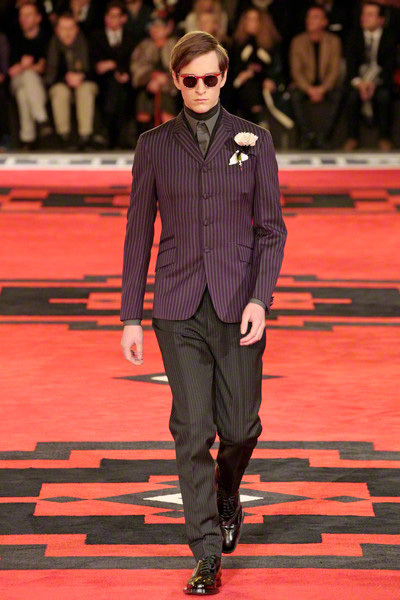 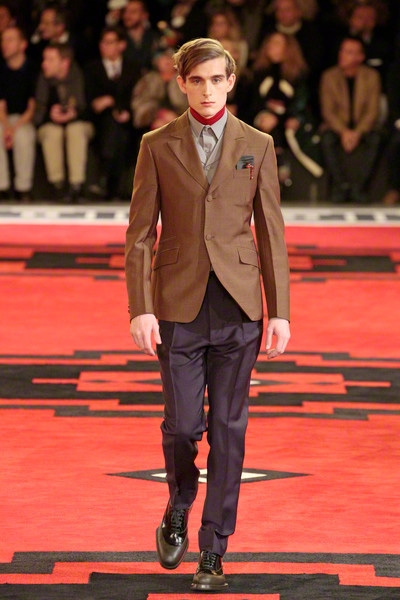 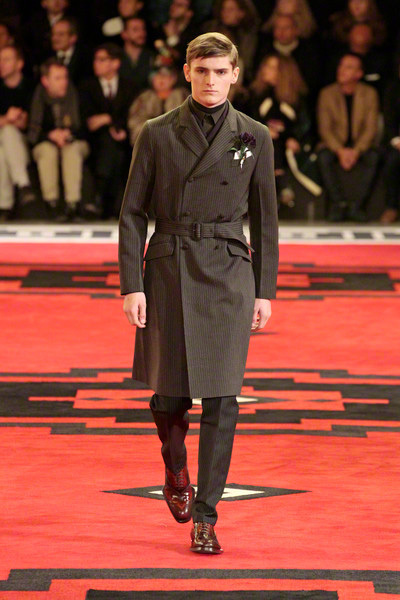 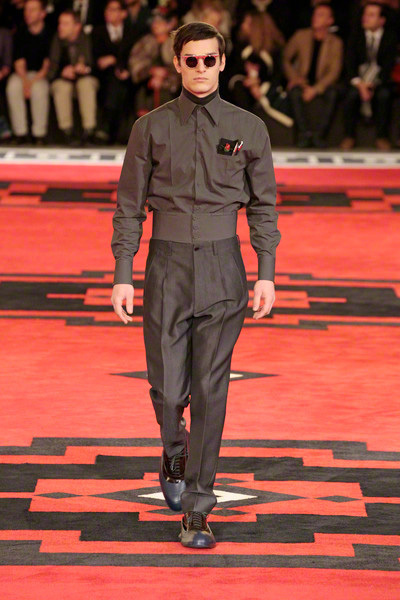 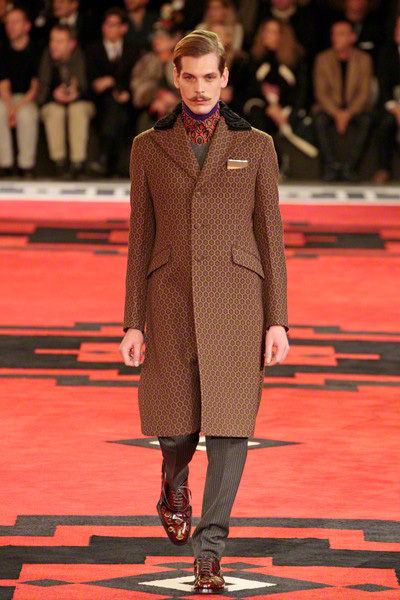 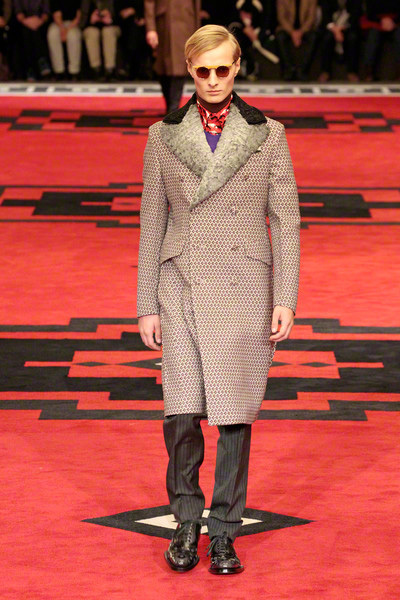 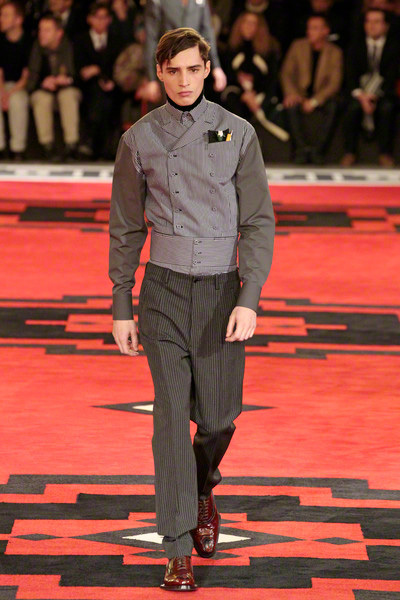 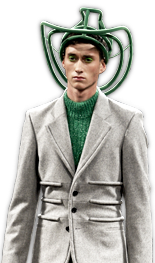 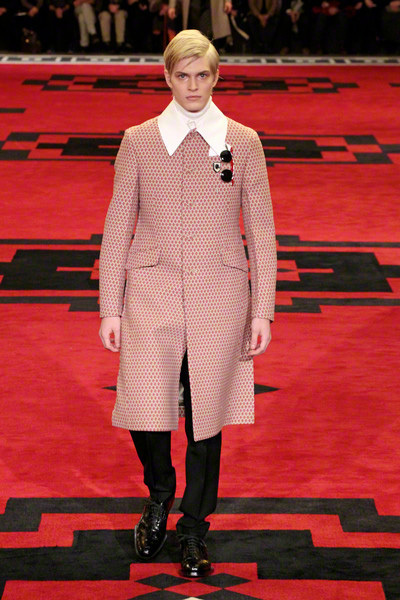 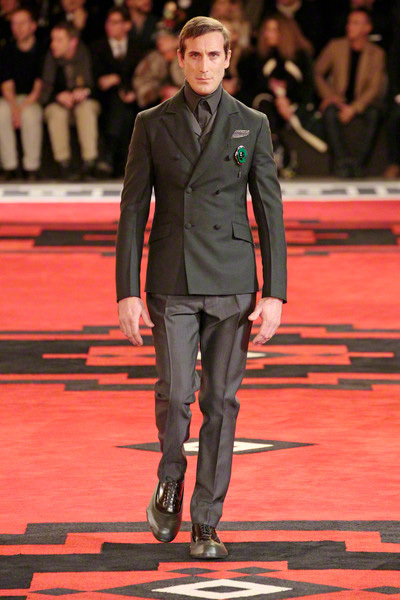 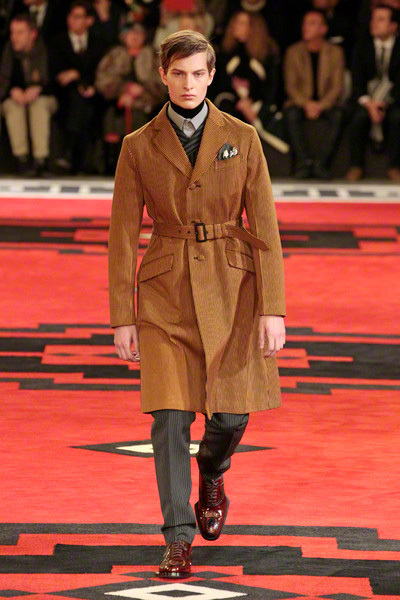 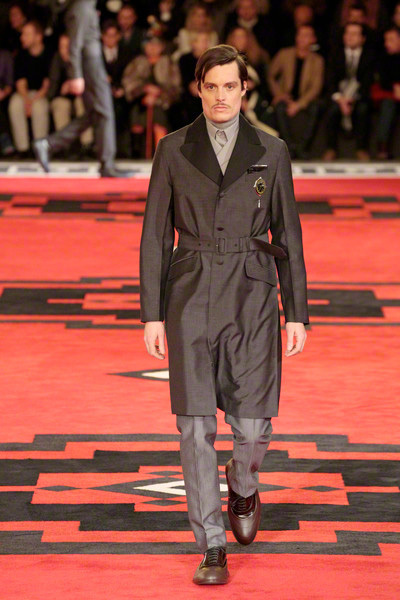 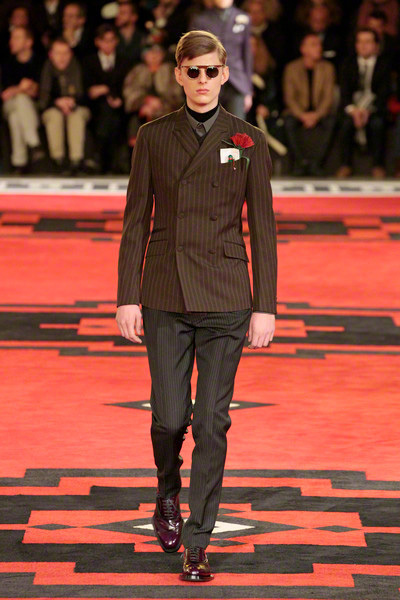 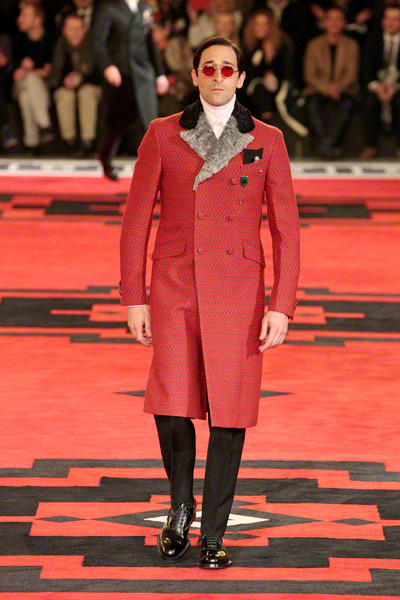 Miuccia Prada said goodbye to all the cheerful bold colors and prints of last season and embraced the powerful men. 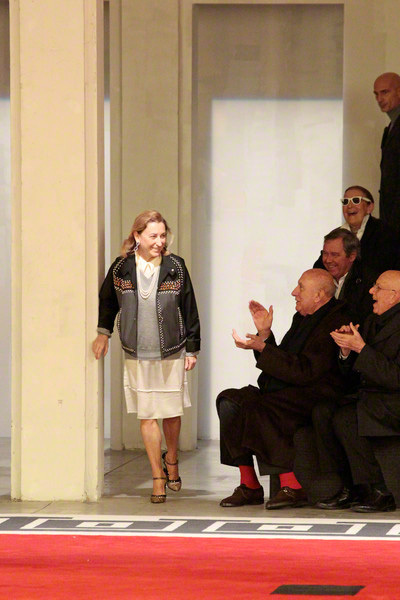 To the press she described the collection as a riff on powerful men, and how fashion can telegraph authority, might or supremacy. 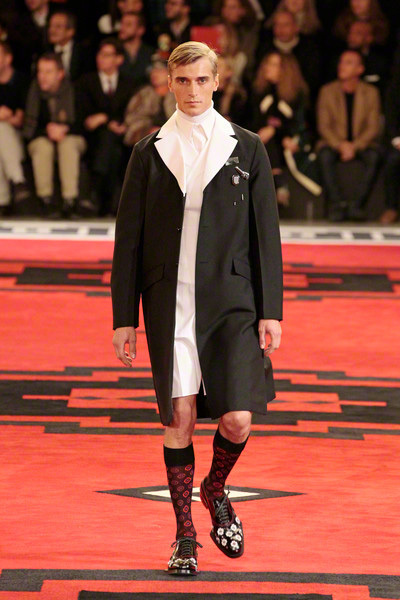 Clothing is a tool of power and a way to express male vanity, she said. 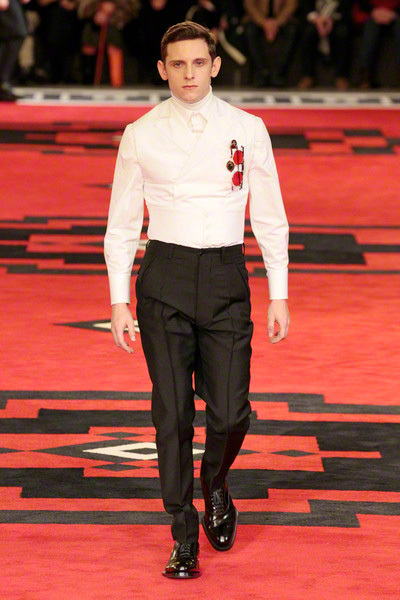 Yes, we knew that already. 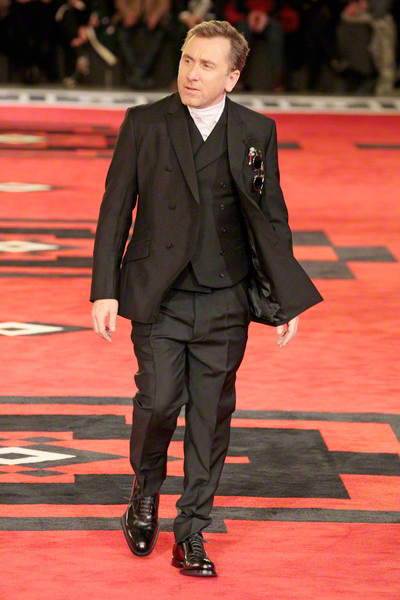 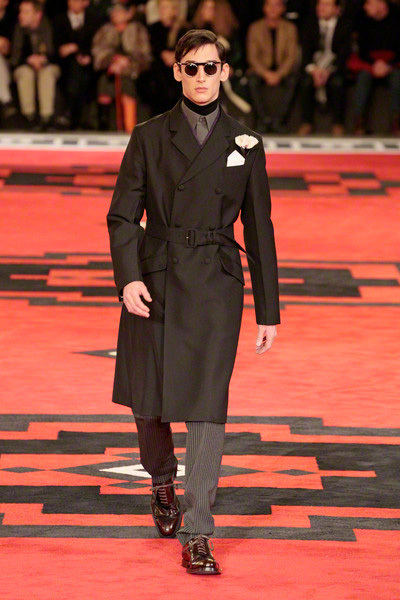 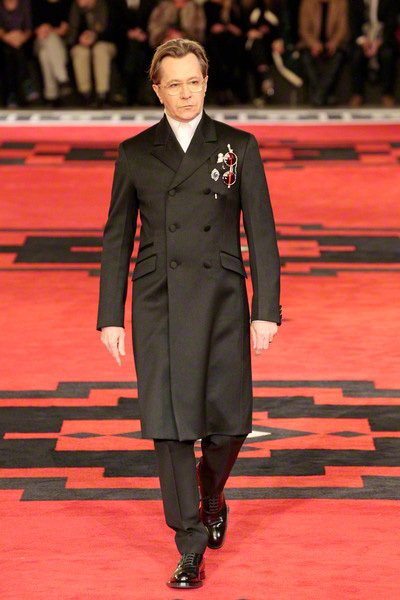 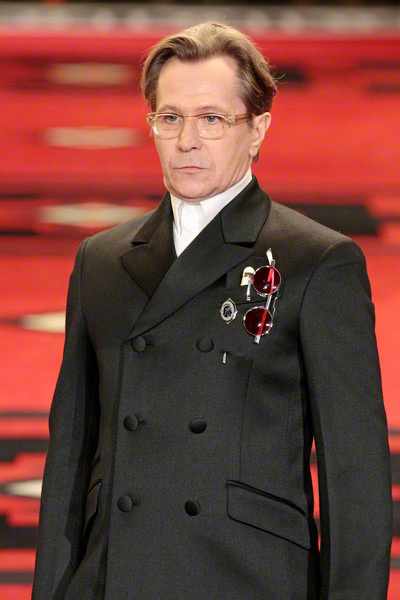 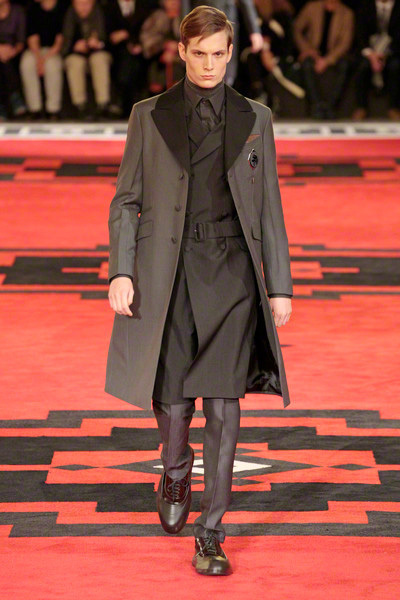 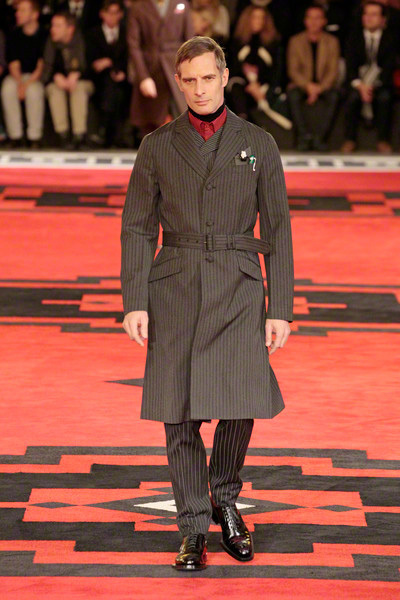 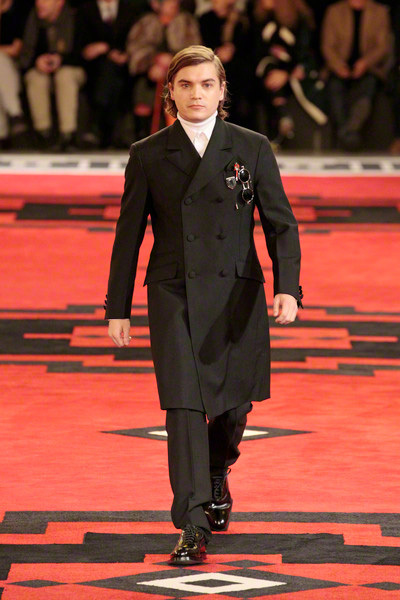 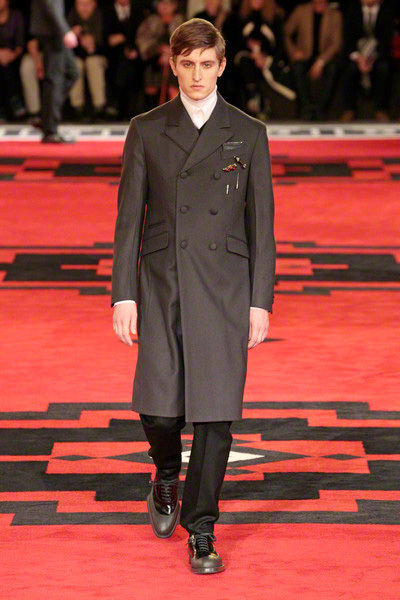 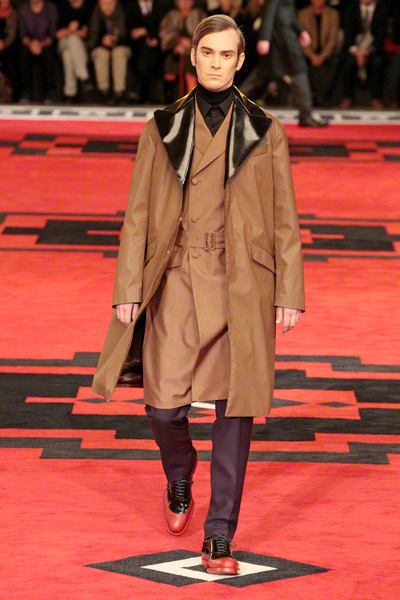 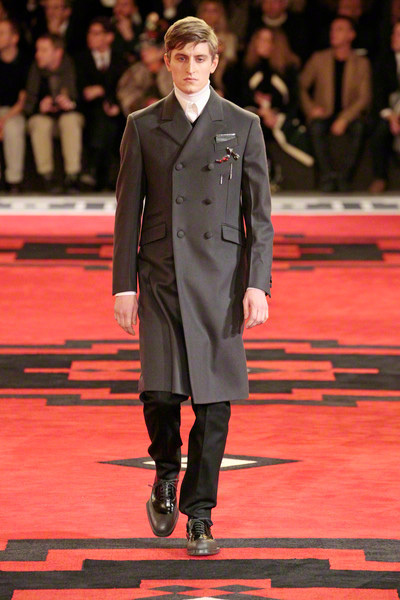 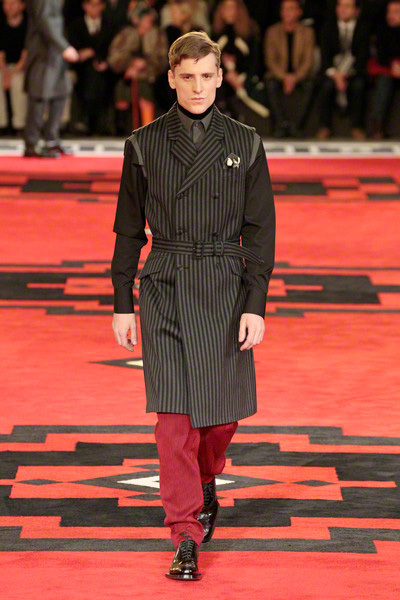 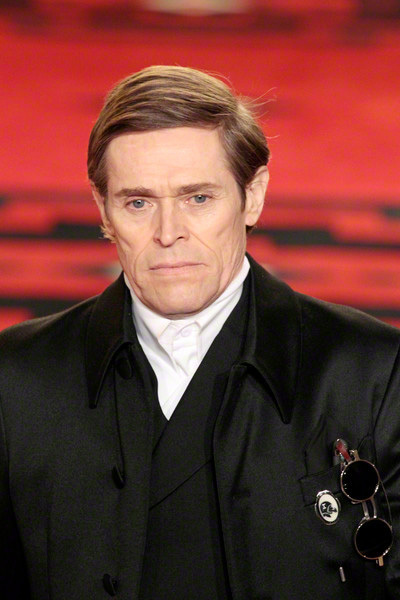 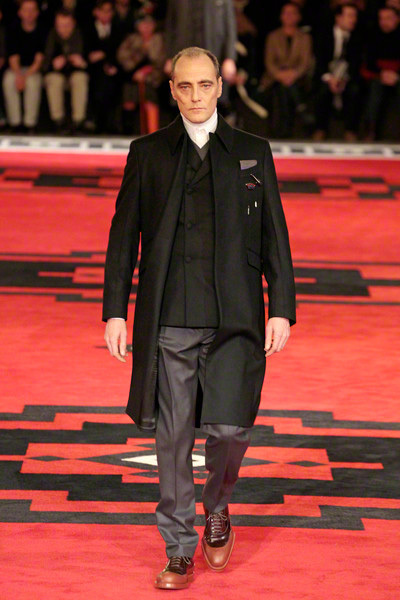 Dressed in severe coats reminding of Eastern Bloc military dress, the models and actors Willem Dafoe, Tim Roth, Adrien Brody and Gary Oldman walked a massive, carpeted space. 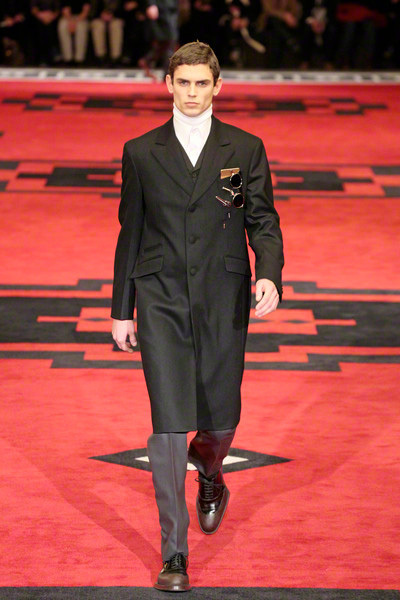 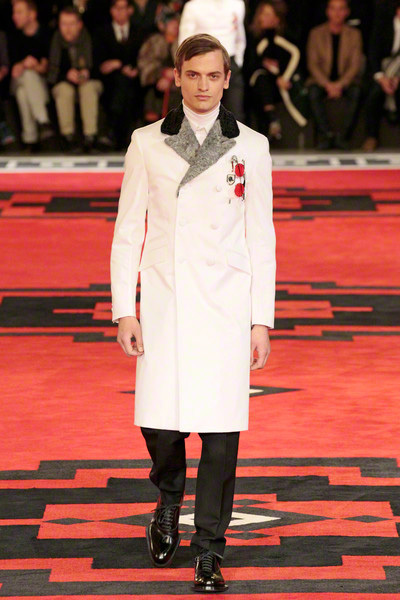 The first outfit set a military tone: a smart dark coat over a white turtleneck, slim pants and gleaming dress shoes. 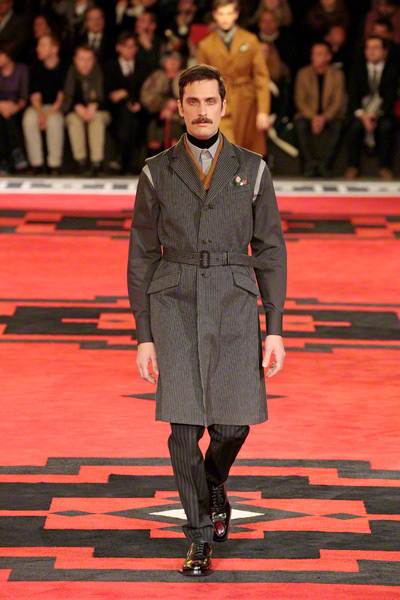 Belted coats in lightweight wool played a major part and they were often decorated with badges over the heart. 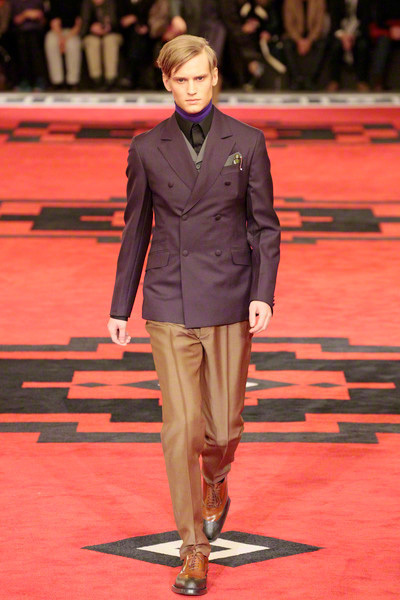 Colors were of course a bit off beat, mustard, purple, grey and black – and the fabrics looked vintage. 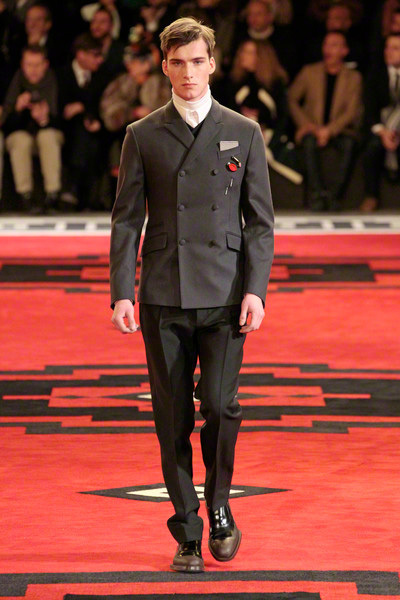 Check out the video of the show below.